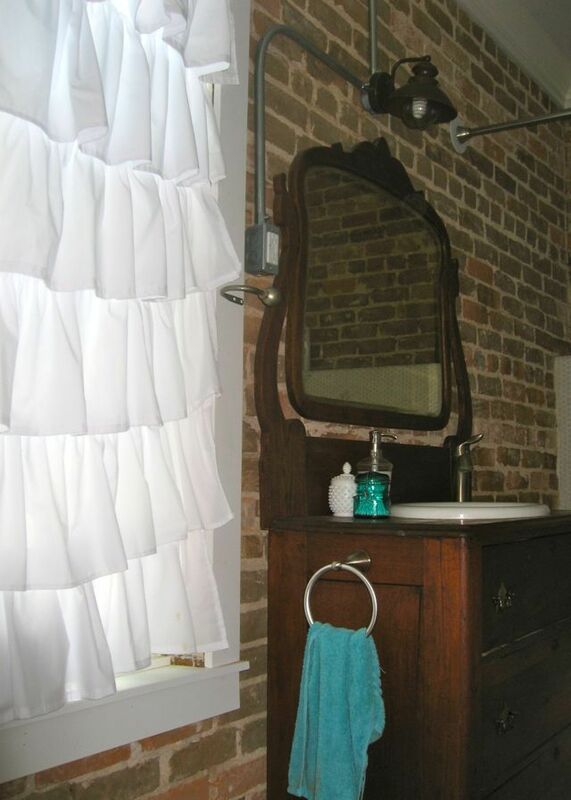 I love the Urban Outfitters ruffle curtain, but didn't want to spend the cash. So I made this ruffle curtain following the tutorial on this blog. It was super easy; although, I did do the top a little differently. My sewing skills don't come close to rivaling my mom's or my grandma's, but I think it turned out really well. 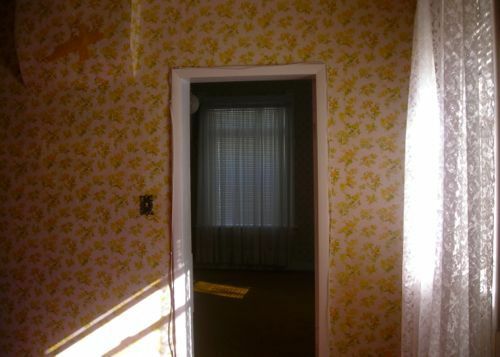 Here's what this room looked like when we bought the house. 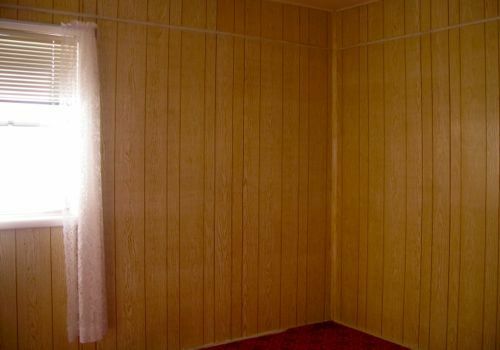 It was a sad, paneled bedroom connected to the master bedroom. We enlarged the window, and that section of wall to the right of it is where the sink and tub now stand. Here's another "before" shot looking towards the left side of the window. 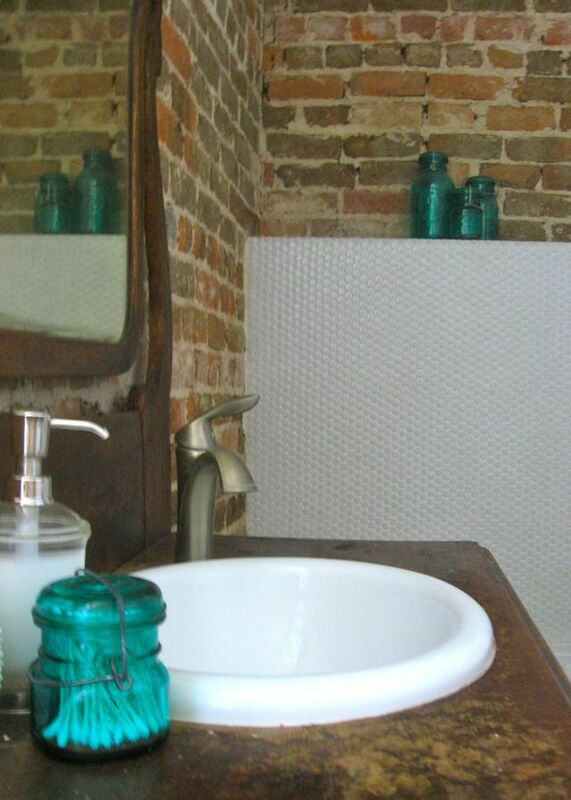 The exposed brick wall was Woo's idea. So what if it's in the bathroom? I think it looks great! 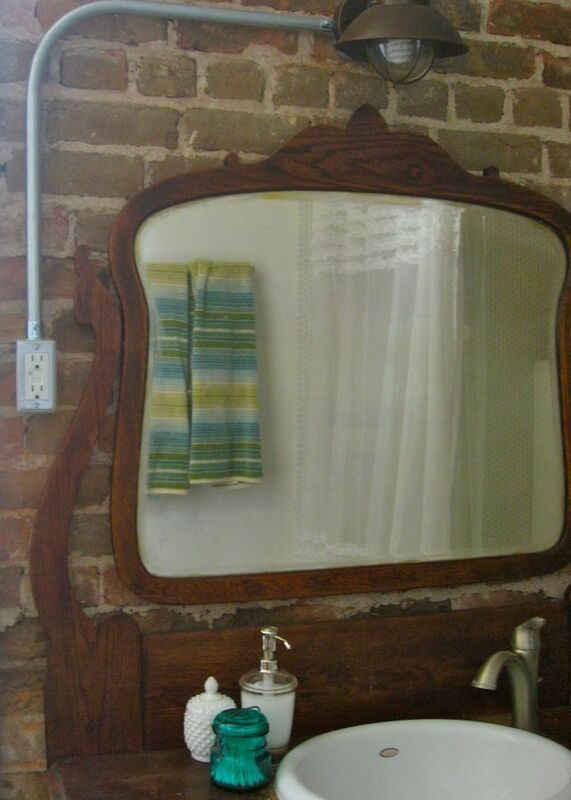 I bought the antique dresser with mirror for the vanity at an auction. Another fortuitous decision. 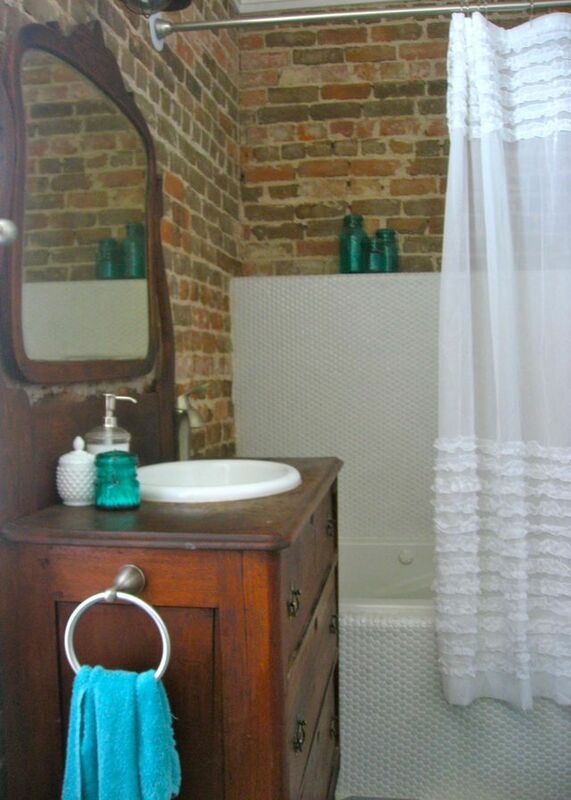 The penny round tile was my little splurge for the room. Totally worth it! 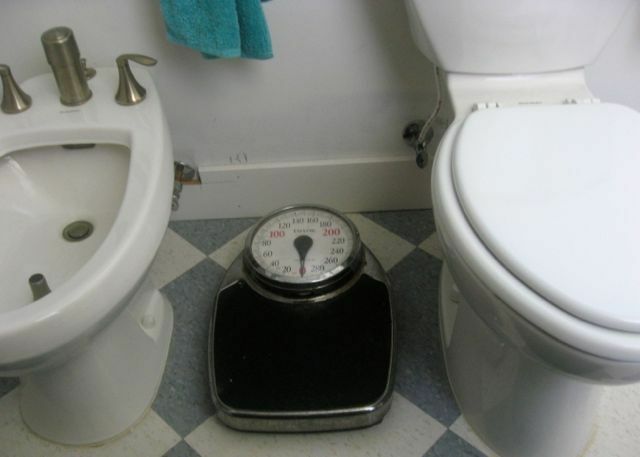 And yes, we love our bidet. How did we ever live without it? There's still so much to do, mainly caulk and paint, but it's come a long way!